Pacsoft is the successor of the Post Denmark / PostNord AB's API access to create packagelabels. The module allows you to transfer large amounts of package data to Pacsoftonline or print directly from PrestaShop, and supports Pickup Locator. There are significant time savings to the module, in it you need to manually enter or copy data from PrestaShop to Pacsoftonline. The accrued time can easily be used on other things that can cause your business to grow. What can you do with Pacsoft module? Send T & T number to the customer when changing the order status. Ability to have the "Pakkeshop ID" inserted into the address field two on automatic (For use in Prestashops API extension). Pickup Locator, which allows customers to self-select pick-up location for parcels without delivery. The module does not support the Swedish Unifaun at this point. It only works with the danish marked. 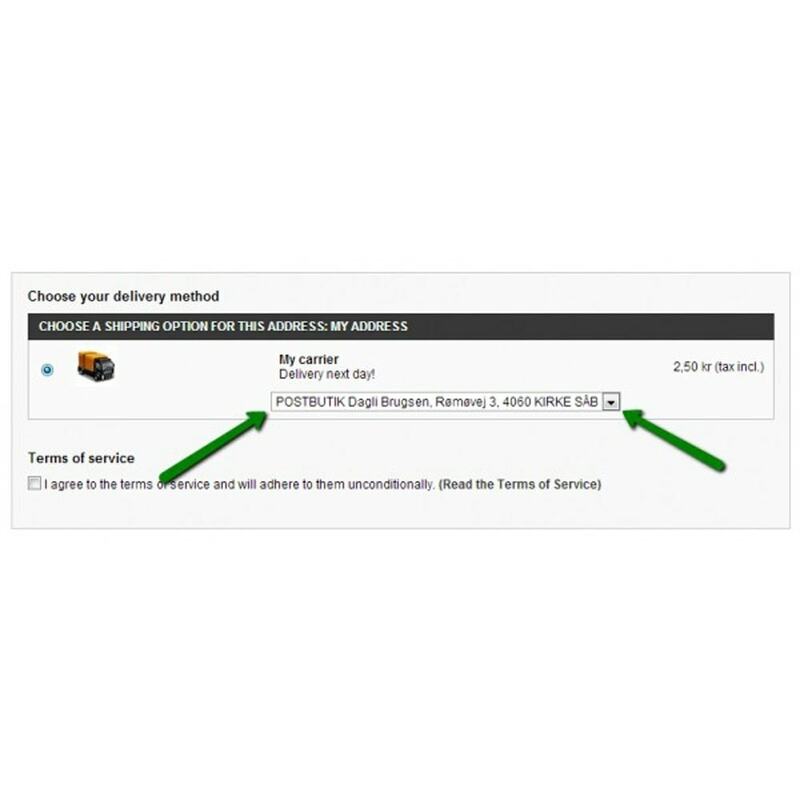 Customers get the module here the opportunity to choose the post office where they wish to pick up the shipment. This gives customers greater freedom and may, for example, place the pickup on a destination on the way home from work. Easy installation with just a few clicks.